Registered nurses are a critical part of any healthcare setting. From doctors’ offices to hospitals to nursing homes, nurses provide direct patient care, patient education, and act as liaisons between patients and other hospital staff. Nurses are also responsible for performing procedures and monitoring a patient’s progress and medical records. The BSN is no longer a luxury for working nurses. 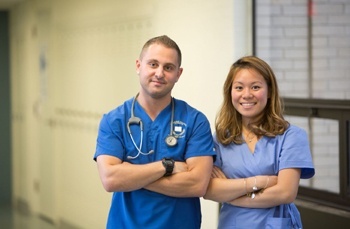 More and more employers expect to see all nurses working toward or with a BSN. In order to be competitive for hospital, OR, and specialty positions, a BSN is a pre-requisite. #6 Registered Nurse: "Registered nurses may be most visible at the hospital bedside or in the doctor’s office, but this growing community of about 2.6 million workers is steadily expanding into a host of specialized jobs. Usually, there are four main areas in which RNs specialize: offering care for a specific health condition (such as diabetes or cancer), a specific part of the body (such as a dermatology nurse or cardiovascular nurse), a group of people (such as premature babies or the elderly) and even a particular type of environment (such as an emergency room or school). Responsibilities within this field also run the spectrum, from clerical work, to administering medicine, to performing procedures and monitoring a patient’s progress. There’s even more granularity. On our list of the Best Jobs of 2014, we profile three different categories of nurses, each of which are expected to add new positions to triage care for the aging population as well as for the expanded number of Americans who now have access to health insurance due to the Affordable Care Act. Nurse practitioner, our No. 4 job, is a type of registered nurse who is qualified to order and evaluate tests and diagnose medical conditions. This job ranks so well thanks to its projected 33.7 percent employment growth and excellent job prospects (particularly in inner cities and rural areas). Licensed practical and licensed vocational nurses, who provide basic medical care to patients and usually work under the direction of a registered nurse, also belong to a fast-growing subsection of this field, which contributed to their profession securing the No. 38 slot on our list.